Let's take a look at some of the latest news and innovations in architecture and design around the world. People are divided over an eye-catching new structure at New York’s Hudson Yards. 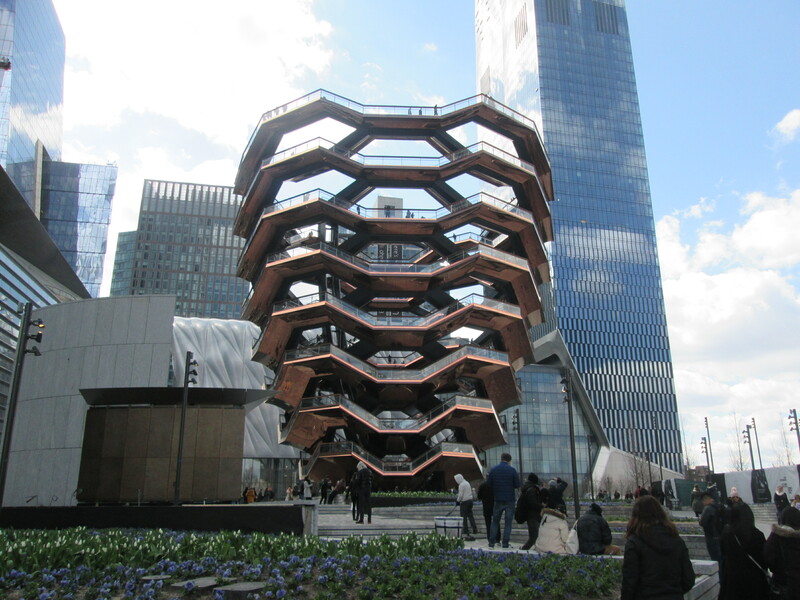 Conceptualised by British designer Thomas Heatherwick, Vessel is a giant structure with an Escher-like lattice of interconnected stair flights and landings. According to the designer, it is not a building, nor a sculpture or an artwork. In fact, there is no defined purpose of the structure, and it is up to the community for interpretation. Naturally, the structure has become popular with tourists already, and is already the location of countless “selfies”. The developer however stirred controversy when it claimed that all photos taken of the structure would legally belong to Vessel, although this statement was quickly retracted after immense public criticism. While some are mesmerised by the structure, others feel that it is a poor contribution to public space. Norwegian-based architecture firm Snøhetta has completed what it claims is the world’s largest underwater restaurant, and the first underwater restaurant in Europe. Designed to look like a sunken periscope, the concrete restaurant plunges diagonally into the ocean in Båly, Norway. Inside, it features a large glass window to give visitors panoramic ocean views. The 495sqm restaurant has the capacity to seat 40 diners, but will also be used as a marine research centre. Hong Kong’s government has announced a controversial solution to its land shortage issues – an artificial island costing US$80 billion. The 1,000 hectares of reclaimed land near the island of Lantau would be able to house 260,000 homes, according to the government. Seventy percent of these houses would be dedicated to public housing. There are concerns however about the significant cost of the project, and the impact it would have on the surrounding marine life. In particular, there are concerns that the artificial island would threaten the endangered pink dolphins in the water around Lantau. If the island is actually built, it will become the world’s fourth-largest artificial island and the city’s biggest infrastructure project yet.